With trip videos now trumping photos, is is time to add a professional touch to your phoneography? If Facebook’s hosting of auto-play video is changing your focus from stills to action sequences, turn to the Steadicam Smoothee. 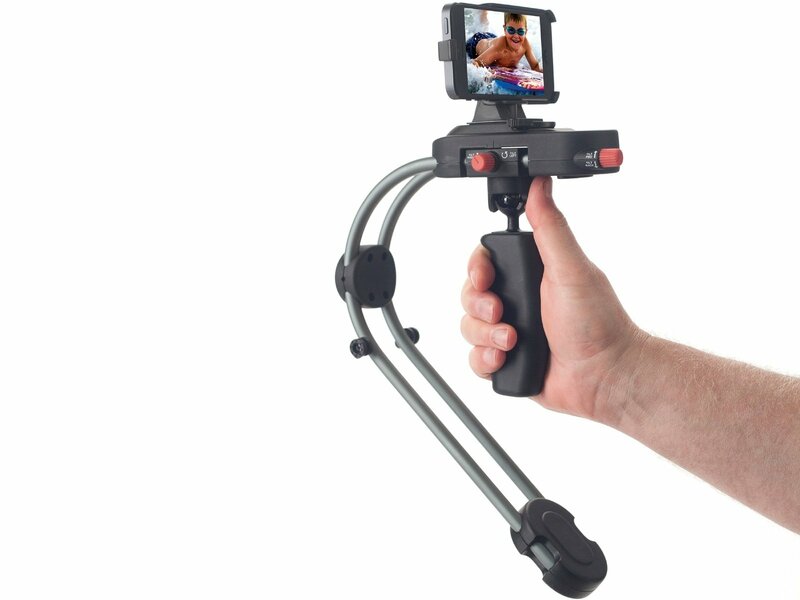 A hand-held stabiliser that’s available for the iPhone 5S and the GoPro Hero 3 action camera, it’s designed to lend a professional-grade smoothness to all kinds of video. Especially useful in chaotic situations, such as street festivals and in crowded tourist hotspots, the 356x254x127mm, 907g Steadicam Smoothee’s mono-frame metal structure adds agility and completely removes camera shake. Ideal for serious amateur filmmakers after smooth tracking shots, the Steadicam Smoothee provides a balanced rig and uses a handle with plenty of grip. Angles can be easily changed, while editing is best done an app such as FiLMiC Pro.